Posted with permission from The Sun Newspapers, April 11, 2018. When Dan and Jan Stuckey’s son John was suffering from opioid addiction, they didn’t know who to turn to in their St. Louis community. They hit rock bottom, Stuckey said, around the same time their son did. Eventually John got on Vivitrol shots, and he’s now five years sober. He’s the president of the ARCHway Institute for Mental Health and Addictive Disorders. Dan serves as the chairman, and Jan is secretary. In nine states, they raise awareness, advocate for caregivers and addicts, and raise money to help pay for treatment and sober living facilities. Living in Punta Gorda since 2014, the Stuckeys have given about $30,000 in scholarships to help local individuals get into residential treatment or pay rent at a sober living facility. They do fundraisers and education, and continually get calls from people who don’t know where to start finding help for their loved ones. It’s one of the biggest barriers to recovery, Stuckey said. Treatment centers for drug and alcohol addiction are scarce in the region and an addict’s inability to pay just complicates recovery. 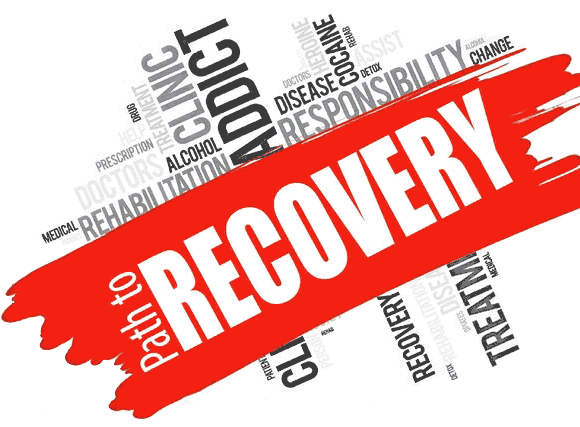 Detox is often the first step in the recovery process, and the ARCHway Institute has donated $6,500 for the last three years to the Addiction Recovery Initiative, started by Sheriff Bill Prummell in 2016. The program allows anyone who wants to get clean to call the Sheriff’s Office, hand over their drugs, and get a free ride to the detox center at Charlotte Behavioral Healthcare. “He’ll take you to the treatment center, but if the person still can’t pay for their treatment program, the money we give helps offset that,” Stuckey said. Insurance is accepted, but for those who don’t have it, the cost for opioid detox is $245 for 7 to 10 days, for those qualifying for a sliding scale fee, said CEO Victoria Scanlon. CBHC has 12 beds dedicated to detox, and patients can usually get in fairly quickly. Another option is Bayfront Punta Gorda, which started its detox program last March. The hospital has no specified detox wing, so any available bed is open to detox patients, making the program especially discreet with all private rooms, said Community Liaison Kristen Anderson. The cost is $6,400 for patients paying out of pocket. Most insurances will cover the program, Anderson said, but patients may be responsible for a co-pay or deductible depending on their personal plans. During their stay, patients receive medication to diminish withdrawal symptoms at both Bayfront Punta Gorda and CBHC. What happens upon discharge is up to the individual. “The medical detoxification process is, as I describe to patients, your first step in a long journey,” said Dr. Thomas Noone. Patients’ plans after detox vary based on their degree of dependence on their substance of choice, their employment and financial status, and available support network. Patients requiring a high level of care may find difficulty getting into a residential rehab program because of the lack of beds. It’s a problem across the nation, Stuckey said. CBHC provides four beds for residential rehab patients for up to 28 days. Priority is given to pregnant drug users, individuals involved with the Department of Children and Families, and injecting drug users. There is almost always a wait, according to Scanlon. “Typically, it’s weeks, and a lot of times individuals move on to other options because they have more immediate needs than that,” she said. The ARCHway Institute has sent a number of people out of state to get treatment. Sometimes, moving away may be the best option. Another area the region is lacking in is structured aftercare, Stuckey said. In Charlotte County, there are no licensed sober living homes. John Stuckey now runs seven sober houses in St. Louis in addition to his work with ARCHway and said sober living is instrumental in preventing relapse. ARCHway has helped some individuals find sober living in Fort Myers, such as with Dana Herrera, who runs New Life Sober Living in Fort Myers. Herrera currently has four women living at her home, two from Florida and two from out of state. To stay in the house, the women must work or volunteer, or attend an intensive outpatient program. Outpatient services help addicts learn new coping skills and, if necessary, receive medication assisted treatment. Locally, Vivitrol programs are available at Coastal Behavioral Healthcare and First Step of Sarasota to help reduce cravings for opioids. Intensive outpatient services are another option for those needing more structure. At LifeWorks in Port Charlotte, patients in intensive outpatient spend at least nine clinical hours a week in treatment. The program can be good those coming directly out of residential treatment, said Operations Manager George Filhour. Bayfront Punta Gorda also offers an evening intensive outpatient program for individuals with co-occurring substance abuse and mental health issues. Lighthouse Addiction Services offers a similar concentrated outpatient education program, in which individuals do one individual therapy session a week, one drug test a week, and two days of group therapy. “It allows them to have a job, but at the same time, have a lot of contact with us to monitor their sobriety,” said Clinical Director Pamela Taylor. Throughout the region, outpatient providers try to eliminate barriers to recovery, such as transportation and being unable to take time off work. At Coastal Behavioral Healthcare, therapists working in the Journey program for children with substance abuse issues meet patients at their schools and homes throughout Sarasota County to eliminate the transportation barrier. At Tri-County Counseling in North Port, Port Charlotte, and Nokomis, doors stay open into the evening to accommodate patients who can’t take time off work to come to counseling. Because of that, patients come from all over the area — Sarasota, Charlotte, DeSoto, and even Manatee County. Still, even the stigma of substance abuse can be a major barrier preventing people from asking for help. Dr. Brendan McCollum, interim director of Outpatient Clinical Services at Coastal Behavioral Healthcare, said that’s one thing he’d like to see change.